In a medium bowl, add salt, pepper, garlic powder, and chicken powder. Pat dry chicken wings and add to salt mixture. Coat thoroughly. Marinate for at least 30 minutes or marinate in the refrigerator overnight. 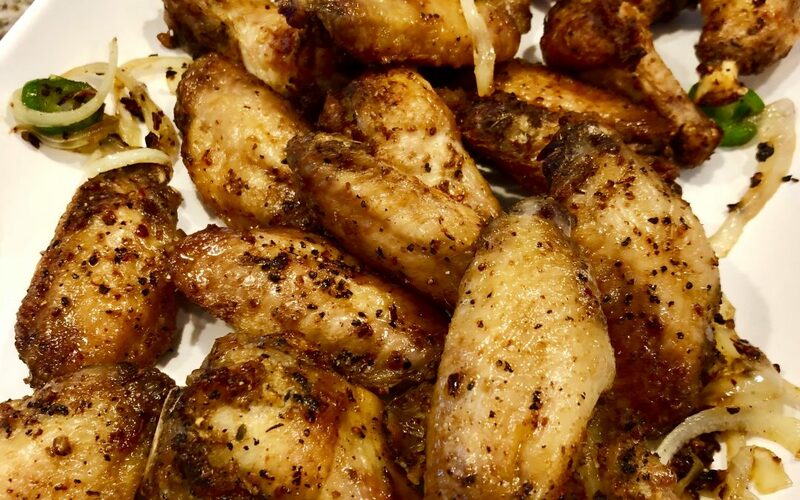 Place the marinate chicken wings in the Air Fryer Basket making sure it is one SINGLE LAYER. 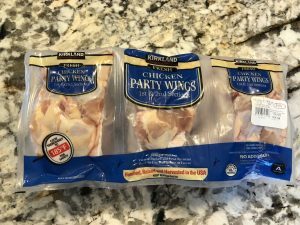 Cook at 350 degrees for 15 minutes, then turn the wings over and cook for another 15 minutes. 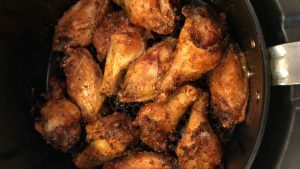 Cook an additional 3-4 minutes at 400 degrees, or until chicken wings are GOLDEN BROWN and CRISPY. 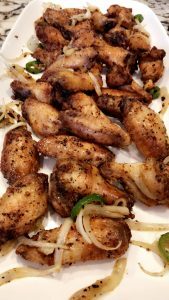 Plate the AIR FRY chicken Wings. ***Slice jalapeños and onion very thin. Place in bowl and set aside. Heat wok or skillet until hot. Add oil, jalapeño peppers, onions, 1/2 teaspoon salt and 1/4 teaspoon pepper and stir fry for about a minute. You can add the AIR FRY chicken wings to the wok or skillet and toss with the jalapeños and onions, to coat. Stir Fry for another minute. Or you can plate and just garnish with the stir fry jalapenos and onions like I did. GoWISE AIR FRYER that I used. Click on the link if you want to read more about the product.